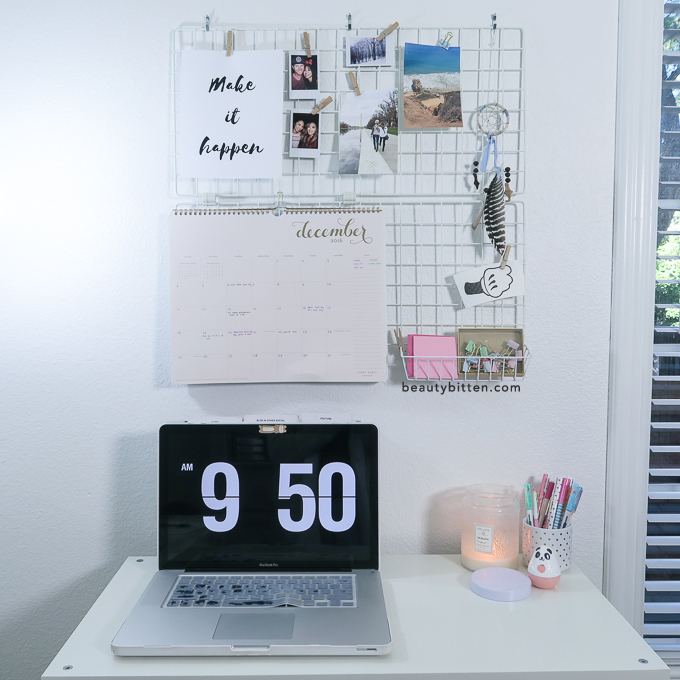 I've been in the process of decorating and organizing my new filming and office space. 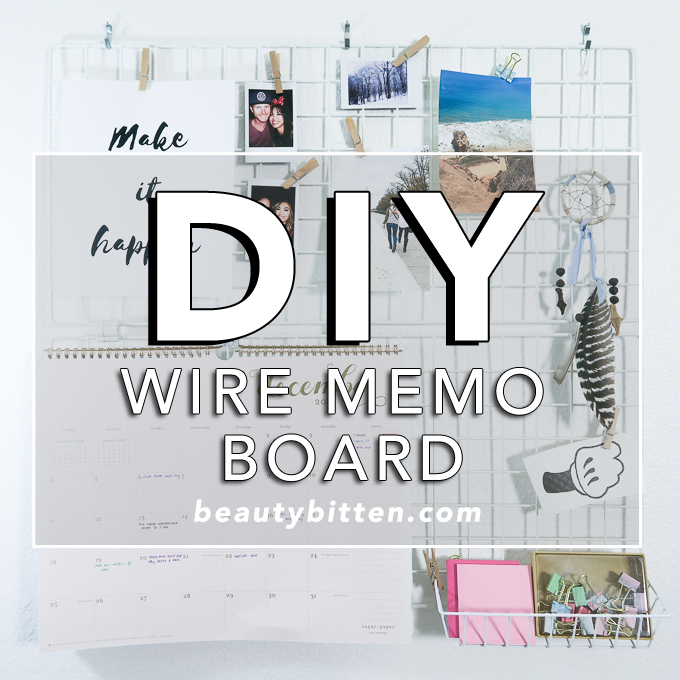 I have a few DIY projects that I have in mind, and one of them is this Wire Memo Grid Board that I've seen floating around Pinterest. I've also seen Urban Outfitters sell this wire memo board for $59 (comes in three different colors)!!! Although it is cute and very tumblr looking, it's a little bit too pricey for my liking, so I took matters into my own hands and DIY'd it. And what do you know... it's probably one of the easiest DIY I've ever made. Since I've been applying minimalism in every aspect of my life, from acquiring less things to the aesthetic of my home decor, this wire grid board is the perfect alternative to a traditional cork board or mood board for minimalists. I still wanted a place where I can place my motivational quotes and photos somewhere in my office without it looking too cluttered and too busy. I love the simplicity of the a wire memo board in my office too keep any notes and photos nice organized on my wall. It's a great way to create a mood board and having that flexibility to switch things around. Some of the wire memo board DIYs I've seen on Pinterest requires you to buy chicken mesh wire. Which later on I found out on my trip to Home Depot is only sold as a roll and looks flimsy and has the potential to sag overtime. And besides, what am I going to do with a roll of chicken mesh wire after I'm done with this DIY? Oh, and there's also having to spray paint the ugly steel color of the wire. So on my recent trip to Daiso, I found wire net grids in the garden aisle which are perfect for this project. It's already painted white, and the wire is thick enough to hold things you might want to hang on it. There is very little effort and no cutting required for this DIY project. Not to mention, the wire net grids cost me only $1.50 each. If white is not your aesthetic, go ahead and pick up a can of spray paint of your choice and coat it a different color. This DIY is so easy, it's also a great gift idea. You can make this for all of your friends and family as a gift this holiday season!